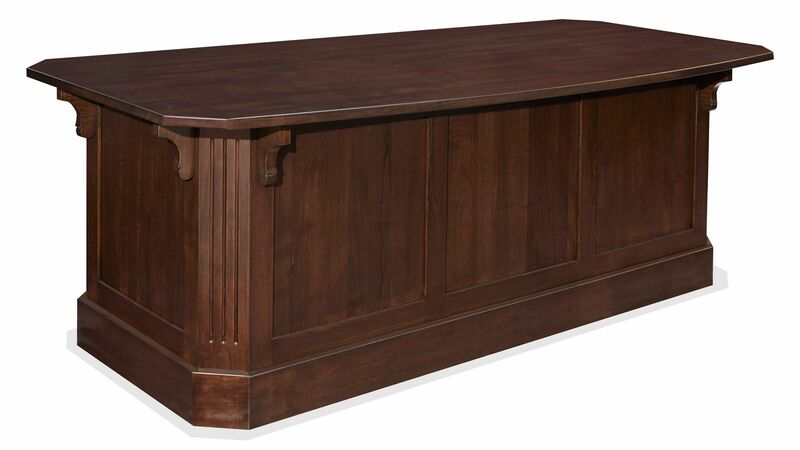 The New Federalist Executive Desk radiates importance, power & prestige. When clients and friends see you sitting behind this desk, the qualities of success and confidence that you seek to project will be appreciated by all. A person of prominence should dress like it and their office should reflect it, this desk will help you create the appropriate atmosphere. Stay organized with the spacious drawers of this heirloom quality piece. From deep drawers, for file folders to shallow drawers to keep pens, paperclips, and notepads, your life will stay organized amid the massive feel of this distinguished desk. Store your keyboard inside the pull-out drawer with the convenience of a flip down front. No matter how complex the project, the vast desktop gives you plenty of room to spread out and work. 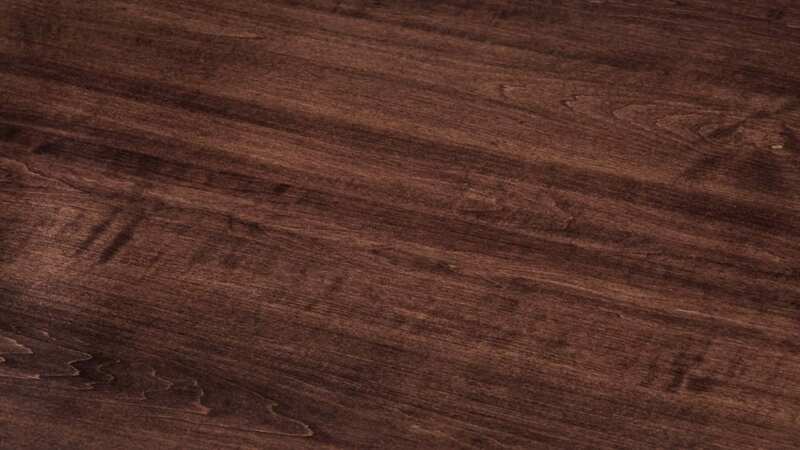 Built using solid American maple wood sustainably sourced from responsibly managed forests; the master craftsmen made a desk of utility into a destination of dramatic beauty. 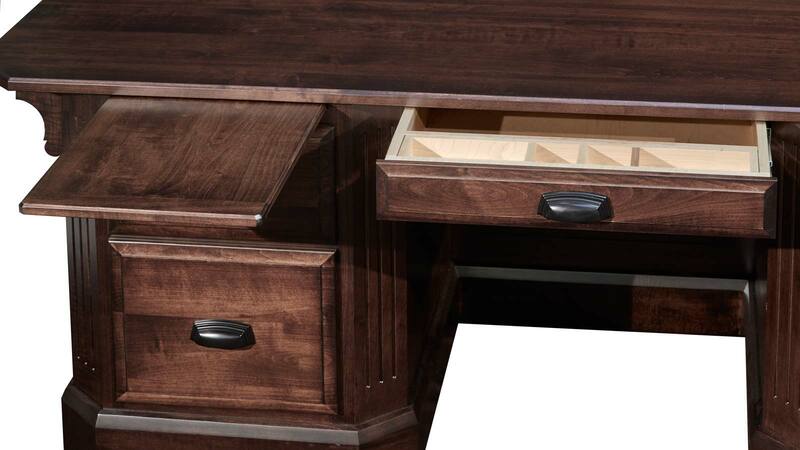 This American-made desk features solid wood construction. The solid maple wood is durable and smooth. Five spacious drawers provide ample storage space. 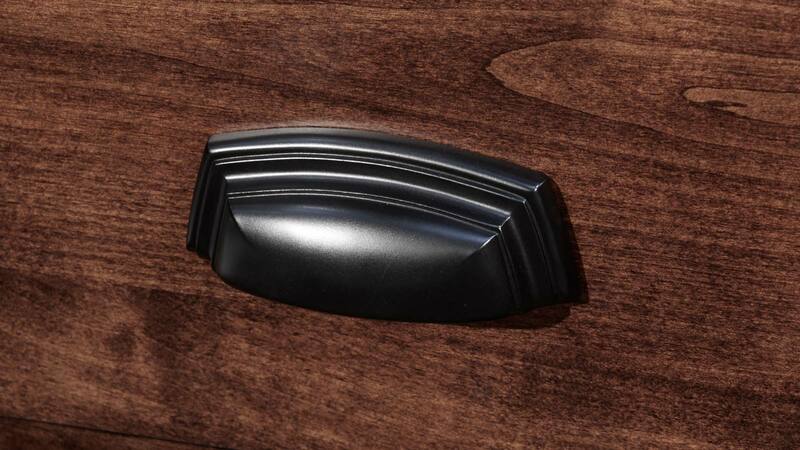 Carved detailing gives this desk a distinctive powerful essence. 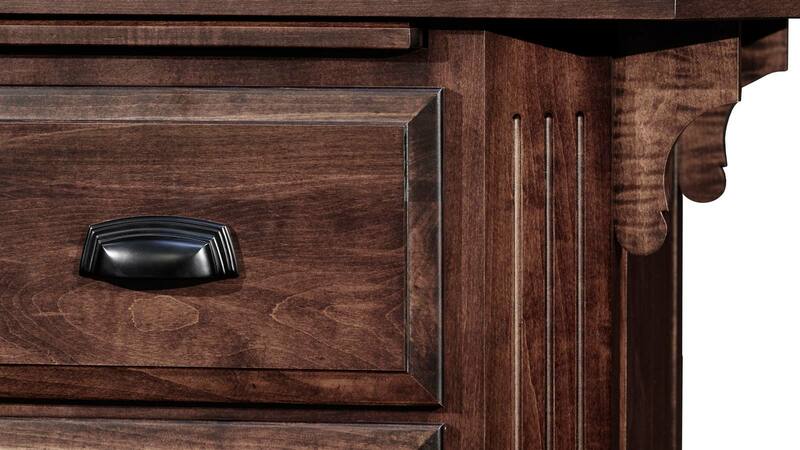 High quality metal drawer pulls ensure easy opening and closing of drawers. The keyboard drawer has a flip down front for ease of ultility. Made with traditional craftsmanship, the Ross Asbury Executive Desk boasts a quality that is unmatched by other desks of its kind. Easily slide the drawers in and out to quickly find what you’ re looking for. Brighten your office with the gleaming, glossy finish on this beautiful piece. The catalyzed finish will resist water and ensure the satin sheen lasts. 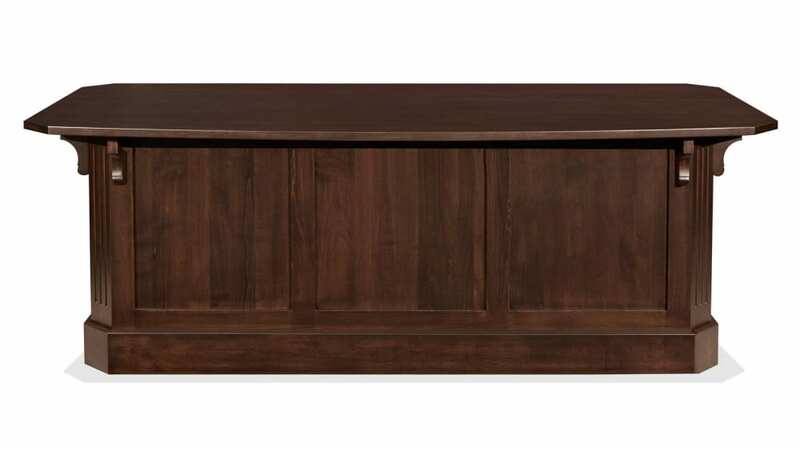 Make a statement that will last for years when you incorporate this desk into your furniture collection. 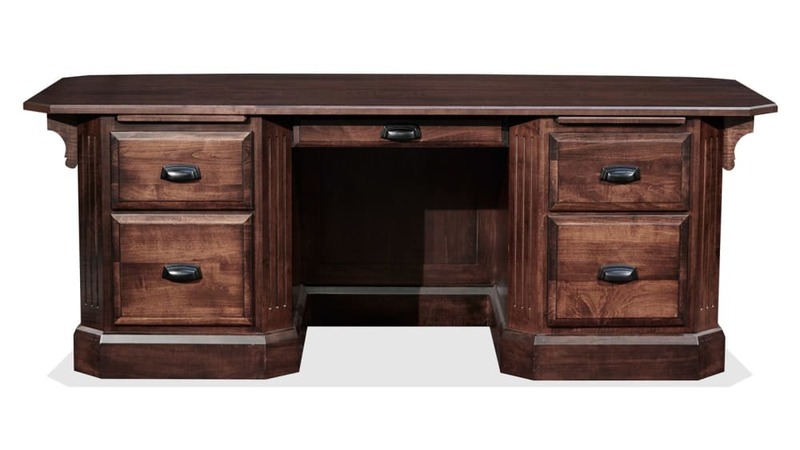 Make a purchase TODAY to get this exceptional desk into your home by tonight. Don't wait another minute to be sitting in style.